Dayna Anderson doesn't set out to solve a murder. All the semifamous, mega-broke actress wants is to help her parents keep their house. So after witnessing a deadly hit-and-run, she pursues the fifteen grand reward. 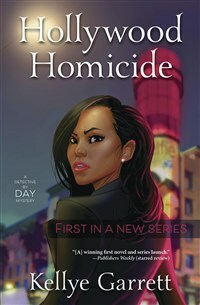 But Dayna soon finds herself doing a full-on investigation, wanting more than just money—she wants justice for the victim. She chases down leads at paparazzi hot spots, celeb homes, and movie premieres, loving every second of it—until someone tries to kill her. And there are no second takes in real life.